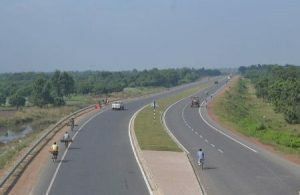 The Project is part of 3 contiguous road projects being executed by the HCC Group from Baharampore to Dalkhola (258.35 Km) along the NH34 in the state of West Bengal. Rehabilitation and up gradation of Indapur to Veer (Wadpale) to Bhogaon Khurd section of NH-17(New NH No.66) from existing km 84/000 to km 108/000 (Design Ch. 84.000 to Ch 110.750) in the state of Maharashtra to four lanes with paved shoulders on EPC Mode under NHDP Phase IV. Rehabilitation and up gradation of Veer (Wadpale) to Bhogaon Khurd section of NH-17(New NH No.66) from existing km 108/400 to km 148/0 (Design Ch. 110.750 to Ch 149.510) in the state of Maharashtra to four lanes with paved shoulders on EPC Mode under NHDP Phase IV. 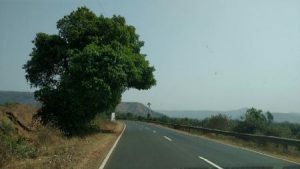 The Project is part of 2 contiguous road projects from Indapur to Bhogaon Khurd (65.51 Km) along the NH-17 (New NH No.66) in the state of Maharashtra. 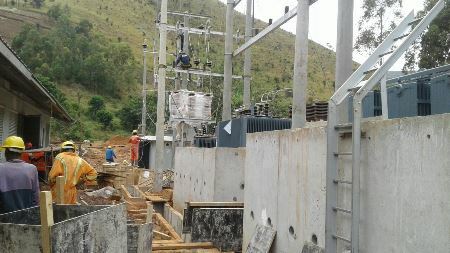 AEMPL engaged to provide Engineering Consultancy Services for Project Management and Construction Supervision of 1556 km of Medium Voltage Lines and 1362 km of Low Voltage Network including Installation of Transformers in North Western, Rwenzori, Western, Mid-Western, and South & South Western Electricity Distribution Service Territories. Lot 1: Hoima, Masindi, Kiryandongo & Kibale Environs Grid Extensions (approximately 288 km of Medium Voltage). Lot 2: Ntungamo, Kabale, Mbarara, Isingiro & Kiruhura Environs Grid-Extensions (approximately 297 km of Medium Voltage). Lot 3: Masaka, Lwengo, Sembabule, Lyantode, Rakai & Kiruhura Environs Grid- Extension lines (approximately 298 km of Medium Voltage). Lot 4: Bushenyi, Sheema, Mitooma & Buhweju Environs Grid-Extension Lines (approximately 263 km of Medium Voltage). Lot 5: Kasese, Rubirizi, Buhweju, Kabarole, Kyenjojo & Kibaale Environs Grid-Extension Lines (approximately 287 km of Medium Voltage).